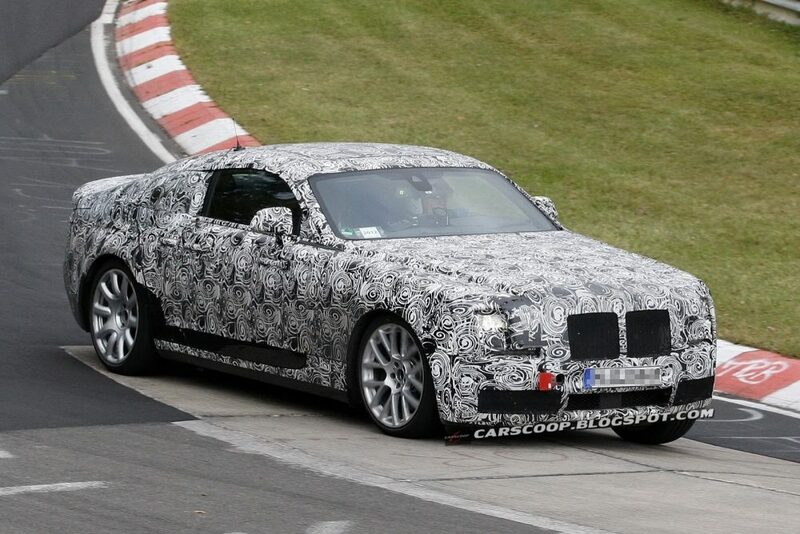 Rolls-Royce has confirmed that its new two-door coupé, the Wraith, will be unveiled at the Geneva motor show in March. A two-door coupé version of the Ghost, the Wraith is said to be the most powerful and dynamic Rolls-Royce production car there’s ever been. It is rumoured that its V12 engine will produce in the region of 600bhp. Rolls-Royce Motor Cars is based in Goodwood, West Sussex, and owned by BMW. Last year it sold a record 3,575 cars, up from 1,002 in 2009. Targeting the likes of the Bentley Continental and Mercedes-Benz CL Class, and to a lesser extent the Aston Martin DB9, the Wraith is expected to feature the Ghost’s turbocharged 6.6-liter V-12 but with power turned up to around 600 horsepower. By comparison, the Ghost is rated at just 563 horsepower. Importantly, the Wraith will also be lighter than its sedan counterpart (perhaps as much as 440 pounds lighter), and its chassis tuned for improved performance. Look for uprated brakes and tires, stiffer suspension and a 10-millimeter lowered ride height. The first Wraith production cars will be delivered to customers at the end of the year.